The Ultra Downdraft Spray Booth has become the standard by which all other dual-skin booths are judged, and with good reason. With literally thousands of Ultra booths in daily operation all over the world, the GFS Ultra downdraft is our most popular paint booth. 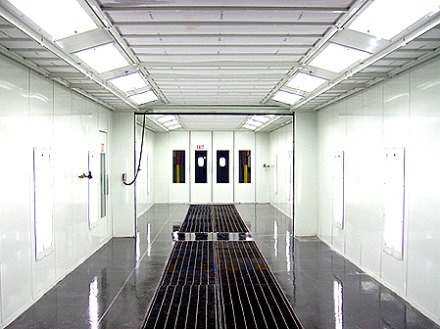 Featuring our exclusive CAF Controlled Air Flow ceiling design, high-efficiency Ultra Heat System, and optional equipment such as VFD’s and AdvanceCure, the Ultra is the paint booth that can help your shop hit new levels of productivity, and achieve the best quality finishes. AdvanceCure Accelerated Airflow System is optional on the Ultra. Adding AdvanceCure to the interior of the booth vastly improves the productivity of the equipment. 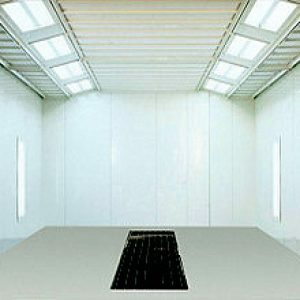 AdvanceCure introduces controlled turbulence into the paint booth during the flash-off and cure cycles to rapidly draw vapors out of the painted surfaces. 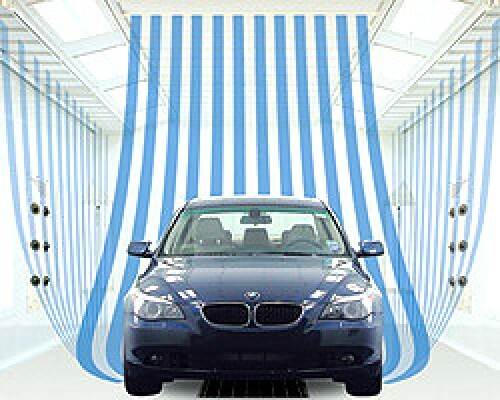 This increased airflow dramatically reduces the amount of time required for each paint job, and in turn, increases the profitability of your body shop. AdvanceCure speeds curing of both solvent-based and waterborne paints, so you can be sure that your finishing operation will improve today, and well into the future.